Laying the groundwork for snagging a huge contract requires a different approach. 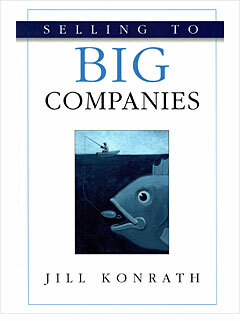 Jill Konrath discusses how to break a large company into "bite-sized pieces," including all the early steps, like how to start scouting out local offices of a big company to understand the way it's structured overall. NEXT: "How to Win Friends"